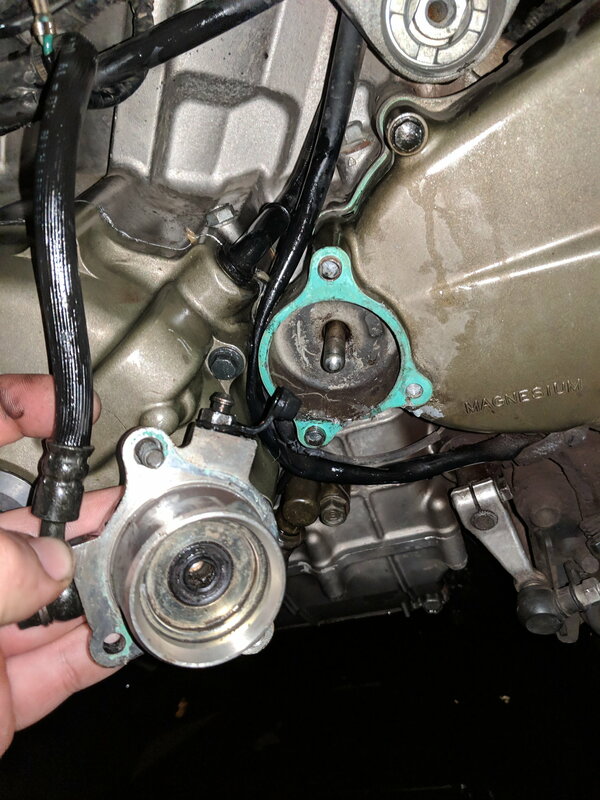 So I got new clutch in and before I replaced it it was slipping really bad...I rebuilt master cylinder and seem to be bleeding but can't get pressure.tookslave apart and was able to pull rod all the way out the one I imagine slave pushes on to disengauge clutch. Any thoughts...mine are very negative at the moment. How does this slave cylinder work ..it pushes that rod in the center? Is that rod supposed to be held in..mine is just free I pulled it all the way out..it seems to go from end to end of case.pushing on it doesn't seem to do anything. That's a really clean setup. Just did mine for the 2nd time and it was caked with awful black gunk. FYI, brake fluid is very caustic to paint and powder coat. If you get any on anything, clean it off rather quickly if you want the finish to stay pretty. Then there it was on the bench! Let us know what you find. Yes the push-rod just slips right through the cases until it pushes on the lifter. For nice smooth action make sure the rod is polished smooth and greased. You should be able to bleed the slave with it off the engine, using a g-clamp to hold the piston still. Air does like to sit right in the master, try wiggling the lever (small quick moves not big pumps) to encourage it to move. I've seen fine bubbles rise out of the bleed port in the reservoir when I do that. But until you get fluid into the piston area, you won't be able to pump the line free of air.